Our vision is to create a path that allows researchers to prototype their ideas without worrying about all of the intricacies of I/O, packaging, PC board design and FPGA coding. of superior performance to what most research groups would have the resources to do. We have implemented a complete system that extends from the pad ring of the chip all the way out. You just need to design your verilog to connect to our simple interface, and then make use of the pre-built components that we have developed and tested. Push it through IC Compiler, PrimeTime and Calibre to a tapeout. The rest of the way has already been thought out. This library has many of the standard components that you use in hardware design. interfaces where it does not hurt performance. These are good projects for students looking for summer projects. The BaseJump Socket interface provides a quick and easy way to prototype I/O for your system. You match up your RTL with our Network-On-Chip interface, and then you can use our package, board, and FPGA firmware to make a complete system! You can use our RTL, socket interface, our pad ring, our package, and our board all independently of each other. But you will minimize design time and cost if you use them all together! Our socket interface, pad ring, package and board are all jointly optimized for signal integrity. 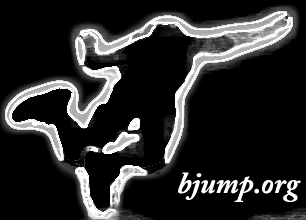 The BaseJump FPGA Bridge is designed to work with BaseJump Socket. 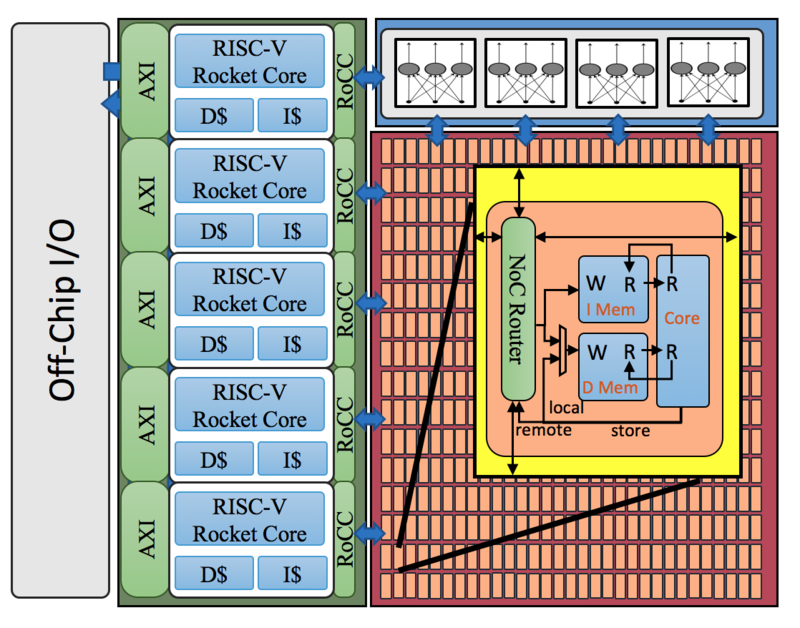 It is synthesizeable SystemVerilog that implements a high-speed DDR source synchronous communication channel. It is designed to be instantiated into an ASIC, and allows high speed communication through the BaseJump BGA package to another FPGA. We also support, for Double and Real Trouble, an additional hop that goes from a "gateway" FPGA over FMC to an ML-605 or Zedboard which hosts the DRAM memory system and/or and PCI-E host to a PC. The idea is that if you reuse the BaseJump Socket Interface, you can attached your RTL verilog to a working I/O system with very little effort. Note: we refactored these files to address SystemVerilog issues across FPGA synthesis tools -- these are the updated files. Note we have Spartan-6 specific code for the bridge that uses the FPGA SerDes. Send us an email and we will post it. This module allows an Virtex-6 ML-605 board to communicate with Linux 2.6 via the PCI Express connector. The abstraction is a number of flow-controlled FIFOs that are mapped into user space Linux. Your user code reads and writes to the FIFOs via memory-mapped I/O. UCSD has a PC<-->FPGA board infrastructure called RIFFA. It has a wider variety of supported boards, but focuses on DMA from DRAM. We would guess that the latency is higher but that the throughput is better. Contact information: Contact Prof. Michael B. Taylor for more information. (Collaborative Research: II-NEW: Prototyping Platform to Enable Power-Centric Multicore Research). Thanks to Prof. Chris Batten of Cornell and Prof. Steven Swanson for feedback and collaboration. Thanks to Ningxiao Sun for his stellar Double Trouble PCB design, and for Scott Davidson, Shengye Wang, Luis Vega and Bunnie Huang for all of their engineering assistance on the board! Terms: You may use this infrastructure at your own risk, and as long as you agree not to hold us liable for any issues that occur as a result of your use of the infrastructure. This infrastructure is intended for prototyping uses only and has not been validated for use in any product.